Whether you want privacy on a crowded plane, to enjoy a late movie without waking the kids, or to bring your music collection to new heights, we found some great headphones that deliver the goods, without breaking the bank. Luxurious headphones with gorgeous sound can cost $1,000 or more, but not the Oppo PM-3. Oppo somehow manages to offer sumptuous titanium headphones with top-of-the-line planar magnetic drivers for $400, and experts are blown away by the result. The plush, closed-back, over-ear cups fold flat and stow in tailored denim carrying case. For significantly less than the price of our top pick, the Sennheiser Momentum 2.0 delivers terrific beauty, quality, comfort and portability. Although the Sennheiser lacks pricey planar magnetic technology (which reduces distortion), this closed-back, over-ear headphone still impresses critics with its warm, rich sound, deftly handling everything from thumping bass to soaring opera. Among noise-cancelling headphones, experts and users say that nothing even comes close to the Bose QuietComfort 25. One AAA battery powers the active noise canceling for up to 35 hours. The headphones will continue to work even if the battery runs out, and the cushy, closed ear cups will still passively block out a lot of noise. Although we found decent headphones for as little as $35, stepping up to the Grado Prestige SR80e will reward you with much better sound. Even picky audiophiles find the Grado smooth and sweet, with well-balanced bass and treble and an open-back design that makes music sound spacious and natural. The headphones are lightweight and comfortable. What makes a good pair of headphones? A good pair of headphones allow you to watch a movie or play a noisy video game without disturbing a sleeping spouse. They let you enjoy music in peace while your kids make a racket in the background, or they can block out the noise of office chatter so you can concentrate on work. Many users also find decent headphones essential for long plane trips, as they sound better and feel more comfortable than the flimsy earphones rented out by the airlines. Headphones come in several designs. True headphones sit either on or over your ears and are generally joined by a band that goes over or around your head. Headphones, as a category, cover a lot of ground. Finding the perfect pair means considering the different types of headphones and the different ways they might be used. Wired versus wireless. Most headphones, and all the ones covered in this report, connect to your music source by means of a physical cable. Wireless headphones, which transmit sound through radio waves or other wireless technologies, are covered in a different report. On-ears versus over-ears. On-ear headphones sit flat against the ears, while over-the-ear headphones fit over and around them. On-ear headphones tend to be lighter and put pressure directly on the ears rather than on the sides of the head. Some wearers find them more comfortable than over-the-ear models, but they can get warm after extended use and tend to let in more outside noise than headphones that enclose your ears completely. Home versus portable. 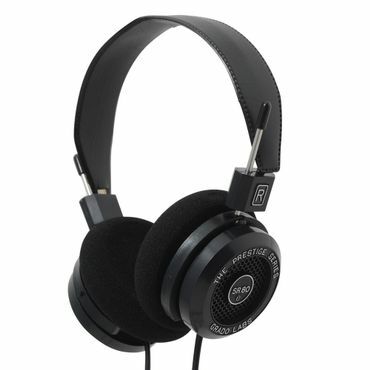 Though all headphones are technically "portable," reviewers often use the term to refer to lightweight headphones, especially those that fold up for easy carrying. Heavier and bulkier headphones are more likely to be recommended for home use. Closed versus open backs. Closed-back headphones cup your ears, sealing your music in and muffling sounds from outside. This helps keep your music from disturbing others -- or being disturbed by them. Open-back headphones, by contrast, have openings in the ear cups to let outside sounds filter in. This can be an advantage if you want to be able to hear the phone ring or the oven timer sound over the music. Also, serious audiophiles tend to feel that open-back headphones have a more natural, purer sound. Noise-canceling headphones. While over-ear and closed-back headphones offer some privacy, and even some passive noise canceling, headphones with active noise cancellation kick it up a notch. They contain small microphones in the ear cups that measure outside noise, then block that noise by producing the same frequencies out of phase. This feature requires batteries to run, although some noise-canceling models will still let you listen to your music even if your battery dies. Headphones also cover an incredibly wide price range. We found recommendations for models costing as little as $35 and as much as $1,500. In general, the top-rated headphones tend to fall in the $250-to-$400 range. However, it's perfectly possible to find a decent pair of headphones that provides good, if not exquisite, sound quality for $100 or less. The most important factor to consider with any pair of headphones is how good they sound. However, comfort is nearly as important. We saw many reviews from frustrated users who say they loved the sound of a particular pair of headphones but had to give them up because they were painful to wear. A third factor is overall value: not just price, but how much you get for your money in terms of performance, comfort and durability. Our editors consider all three factors in finding the very best headphones. When experts test the very best headphones, one model rises to the top: the Oppo PM-3 (Est. $400). "They blew away our entire listening panel," TheWirecutter.com's Lauren Dragan says. "The Oppo PM-3s are the best sounding, most versatile closed-backed headphones for less than $1,000 we've ever heard." The PM-3 uses a special driver -- planar magnetic -- that you'll usually only find on $1,000-plus luxury headphones ("the sort of headphone that should be kept in their high-gloss lacquered cherry-wood storage box, right next to your humidor and bottle of Johnny Walker Blue," as DigitalTrends.com's Caleb Denison puts it). Somehow, Oppo manages to build this ultra-precise technology into a $400 portable headphone, and experts are impressed. "I'm in love," Denison says. "That you can get a headphone that sounds this good at the $400 level is amazing." Oppo doesn't skimp on the build quality, either. "A sight to behold," What Hi-Fi? calls the PM-3. "Titanium arms, leather ear-cups, and gorgeous milled hinges – what's not to like?" Testers find the PM-3 lightweight and comfy, with leatherette-padded over-ear cups (closed ones, so others won't hear your music) that fold flat for easy carrying. The PM-3 comes with a regular headphone cord as well as your choice of iOS or Android cord with inline mic and remote for taking calls, plus a tailored denim case. Of course, headphones are a very personal choice -- sound quality and comfort are subjective, after all. A couple of testers feel the Oppo PM-3 fits a bit too snugly. Some quibble with the sound: "Treble could do with more sparkle," What Hi-Fi? says, and TheVerge.com finds the sound "technically impressive" but "unexciting." Still, after testing 20 pairs of headphones, Dragan says, "Among our top picks, there really is no wrong choice. When you get into this price range, the difference between number one and number five is the tiniest of deviations that most people won't mind." The Oppo PM-3 carries a one-year warranty. For about half the price, consider the Sennheiser Momentum 2.0 (Est. $210 and up) over-ear headphone. It lacks the Oppo PM-3's planar magnetic technology, but picky audiophiles at CNET, What Hi-Fi? and DigitalTrends.com choose it as one of their favorite headphones anyway. "The Momentum 2.0 oozes refinement and seems to bring out the best in all types of music," say David Carnoy and Steve Guttenberg at CNET. 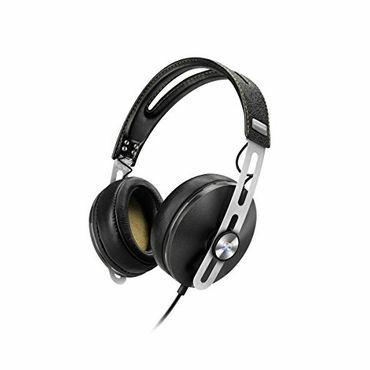 Warm, rich bass is the Sennheiser signature, and Ced Yuen at What Hi-Fi? says, "The sound quality is better than ever ... They're as confident pumping out heavy bass lines as they are bellowing out a bit of opera." Like the Oppo PM-3, the Sennheiser Momentum 2.0 is a lightweight, comfy, over-ear headphone with "impeccable" build quality, Yuen says: They're made of stainless steel and real leather, with faux suede lining the padded headband and ear cups. Also like the Oppo, the Sennheiser is closed-back and portable (actually, the Sennheiser folds smaller than the Oppo and includes two soft carrying cases -- a zippered one and a drawstring one). It comes in a variety of colors (black, brown and ivory), and in versions that support either Apple or Android devices, and prices can vary a bit depending on those options. Testers' only real concern with the Sennheiser Momentum 2.0 was its $350 launch price last year. But since that price has dropped notably -- especially if you shop carefully and opt for whichever color version happens to be on sale at any given time -- experts say the Momentum 2.0 is a fantastic choice. It carries a two-year warranty, versus one year for the Oppo. Bose was one of the pioneers in active noise-canceling technology, and most reviewers agree that the Bose QuietComfort 25 (Est. $300) still sets the bar for sound isolation. "These are the noise-cancelling headphones by which all others should be judged," says What Hi-Fi?. Other experts agree: The Bose QuietComfort 25 earns more recommendations than any other headphones of any type, and no other noise-canceling headphone comes even remotely close. "The Bose QuietComfort 25 was the top pick for all of us, by far," says Geoff Morrison at TheWirecutter.com, after three experts exhaustively test 20 noise-canceling headphones. "Bose really does know what it's doing with noise cancellation." Other brands can't use Bose's unique technology, Morrison points out -- and they simply don't erase noise as well. "Office hubbub is dramatically reduced," What Hi-Fi? says. "Voices aren't erased entirely, but we'll challenge anyone to pick out any part of a conversation while music is playing at an enjoyable level." The Bose QuietComfort 25 is impeccably comfortable, too, testers say, with plush leather over-ear cups and a lightweight-but-sturdy, folding design that fits neatly into a compact, zippered case, along with an included AAA battery, airline jack adapter and remote/mic cable. It's optimized for Apple devices, but it also works with other devices (some of the remote features might not work with Android and Windows, but the microphone will, CNET says). The noise cancellation feature requires one AAA battery (it works for up to 35 hours). But in a huge improvement over the previous model, the Bose QuietComfort 25 will now play music even after the battery dies. You won't have active noise cancellation (though the ear cups will passively block some outside sounds from reaching your ears), but at least you'll have tunes. Noise-canceling headphones don't deliver audiophile-quality sound -- but when seated next to the engines, audiophiles are quite happy to listen to music on their Bose QuietComfort 25s. Music has "good dimension ... they don't sound flat at all," says Caleb Denison at DigitalTrends.com. Just wearing the headphones, even without turning on the noise-canceling feature, "I can barely hear myself talk," he says. "Once I do turn it on, it's like another world. It's actually kind of surreal. And then you start playing music? You're not going to hear anything other than your music." The Bose QuietComfort 25 carries a one-year warranty. For open-back sound on a budget, the Grado Prestige SR80e is TheWirecutter.com's top pick. CNET agrees: "We've long been fans of Grado headphones and are really impressed by the quality of sound you get from this new $100 model," David Carnoy and Steve Guttenberg say. You won't get any extras -- no carrying case, inline remote or microphone for taking calls -- but you will get to enjoy detailed sound, with fuller, deeper base and a smoother, sweeter sound than treble-heavy Grado has traditionally been known for. The lightweight Grado has foam-padded, on-ear pads that "don't clamp your head too tightly," says Brent Butterworth at TheWirecutter.com. Butterworth finds the foam pads scratchy, but Carnoy finds them "quite comfortable" -- as do hundreds of happy owners at Amazon.com. The Grado carries a one-year warranty. If you're on a tighter budget, consider the Sure SRH145 (Est. $40). This lightweight, on-ear headphone has padded leatherette ear cups and a closed back for good sound isolation, and a collapsible design for portability (no case, though). "They may not be swanky, but they fit well and deliver strong performance for a reasonable price," Carnoy says. Fellow CNET reviewer Steve Guttenberg agrees, and says "Shure's build quality and two-year warranty, a rarity in the budget headphones category, make them a good deal." PCMag.com and DigitalTrends.com both name the Shure their favorite budget headphone. Actually, PCMag picks the Shure SRH145m+ (Est. $50), which adds an inline remote and mic for taking phone calls. There's also a semi-open back version, the Shure SRH144 (Est. $40); Carnoy says they all sound "virtually the same." Critics at TheWirecutter.com, however, aren't crazy about the sound. "Geoff complained that they sounded too dark for him, without much treble detail; I thought they sounded like an inexpensive headphone from the 1980s; and Lauren described them as merely okay," Butterworth writes, after testing the SRH144. The closed-back SRH145 "has a bit more richness in the lows" than the SRH144, PCMag's Tim Gideon says, although it's still "not for booming bass lovers." The Shure's sleek design is "Beats-esque" (mimicking the ultra-popular Beats by Dre headphone line), says Ryan Waniata at DigitalTrends.com, and it looks fine from a distance. Up close, though, the scratch-prone metallic plastic headband looks cheapish. "Generic but sturdy," Carnoy calls the design. The Shure averages 4 out of 5 stars, with more than 100 reviews posted at Amazon.com. 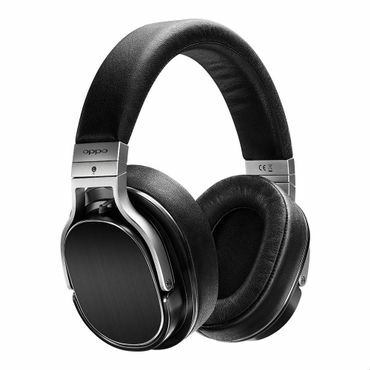 Most say they're a steal for the price, although we did see several complaints from owners who feel the Shure headphones clamp their ears too tightly. To find the best headphones, we studied meticulous tests by CNET's Steve Guttenberg ("The Audiophiliac") and David Carnoy, as well as veteran reviewers at PCMag and DigitalTrends.com. TheWirecutter.com assembles a panel of experts to test nearly four dozen headphone models, and TheVerge.com tests the latest planar magnetic headphones head-to-head. We also found valuable headphone tests and ratings at What HiFi? (a British magazine that lab-tests stereo and home theater equipment) and ConsumerReports.org, along with thousands of owner reviews at Amazon.com and BestBuy.com.